Log into your account at https://norwexbiz.com.au/en_AU/consultant/login (AUS) or https://norwexbiz.nz/en_NZ/consultant/login (NZ). 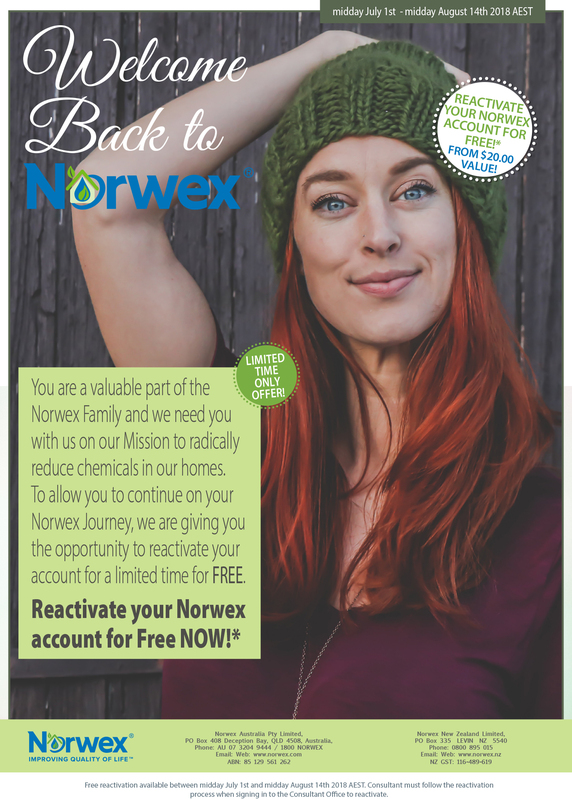 If you don’t know your consultant number, contact your upline to find out or email norwex on support @ norwex.com.au – if you are in my team, email me at kirsten (at) sustainablesuburbia.net or phone me on 0402 44 55 78. If you can’t remember your password, you can reset it on this page too. This will create an “order”, which in a normal month, would cost $20. But for right now, it is free! So just submit that order, and your account is reset for another 6 months! If you are in my team, make sure you get in touch and get me to add you to our team facebook party later this month or next month, to check out the new products (released later in August) and share them with your friends!